Does your little girl love hats as much as mine does? If there is a hat (or crown) within sight, she will be wearing it. 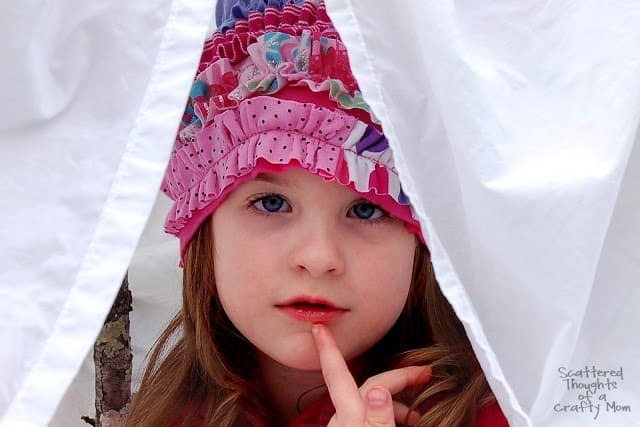 I have seen these little ruffled beanie hats being used as photography props around blog-land lately. I am in love with how they look! Such a simple project for such dramatic results! 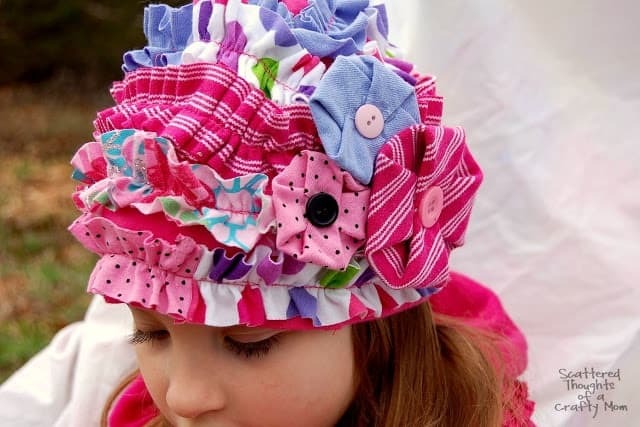 There are so many looks you could get with this hat, depending on your fabric choices, size and number of ruffled strips you use. 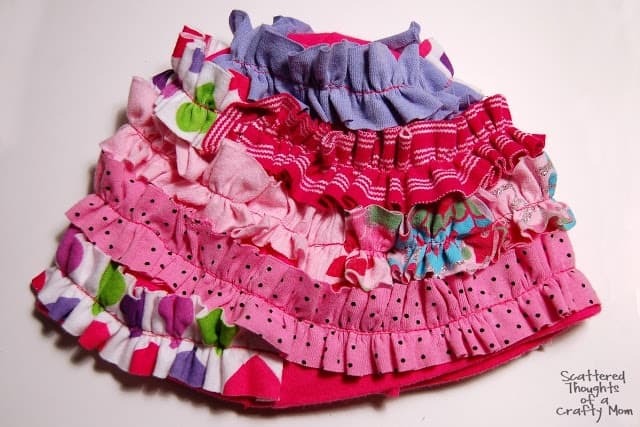 To make mine, I just used some t-shirts and scraps from my recycle bin. Would you like to make one too? It is so easy! 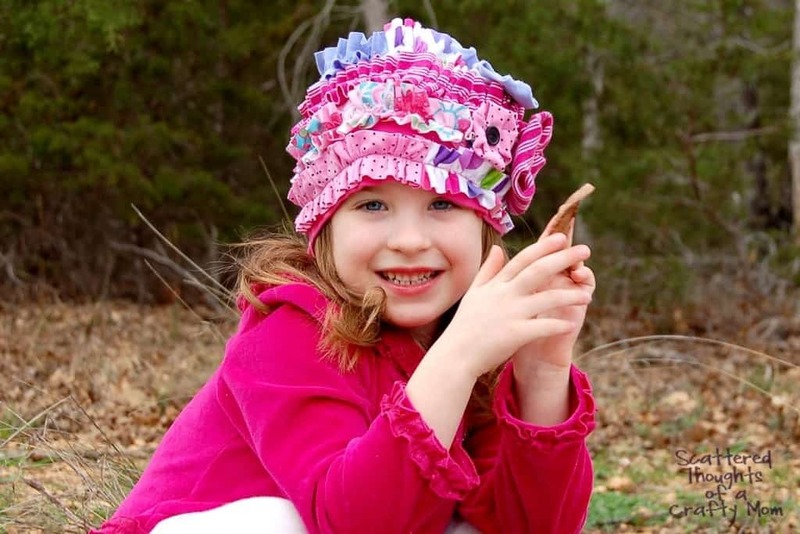 Here is how to make a ruffled beanie hat from recycled knits for your little one. 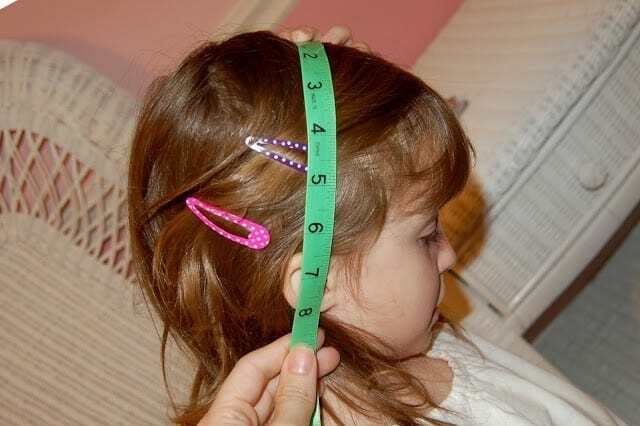 First, measure your little darling’s head circumference. Then measure from top of the head to where you want the hat to stop. 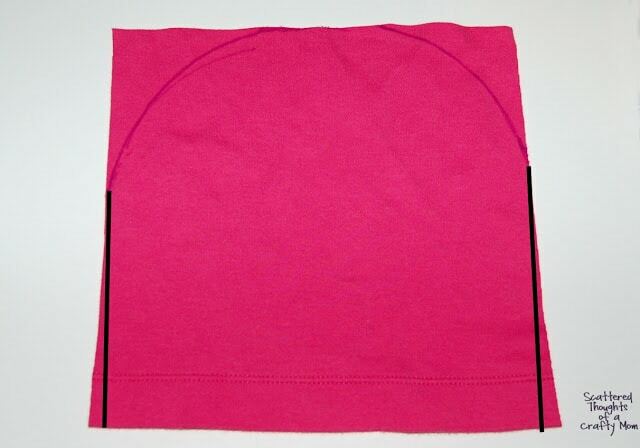 Add 1/4 inch to both measurements for seam allowance, plus an additional 1/2 inch to the circumference measurement. Divide the circumference measurement in half. Clear as mud? As an example, my measurements were 8 tall by 20 around. My final measurement was 8 1/4 x 10 3/8. Lay out the fabric you will use for the hat base. Cut two squares to your measurement. Draw a half circle shape at the top of your cut pieces. (I used a bowl to help get the shape.) 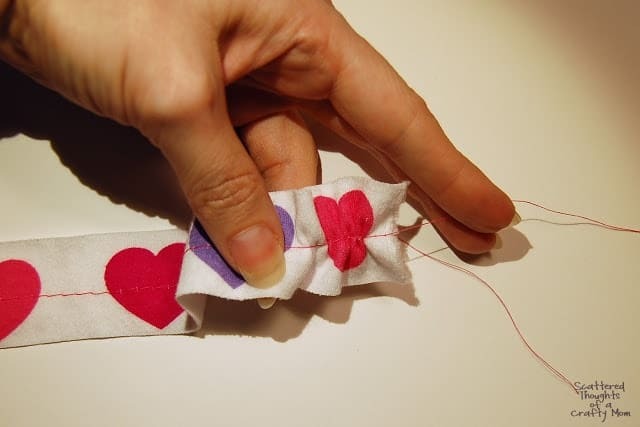 Sew up the side seams and along the line you drew. Trim the excess fabric away. For a more customized fit, I had my daughter try on the hat inside out. With my marker, I made some marks where the hat could be taken in just a little. I sewed a new seam along this mark. 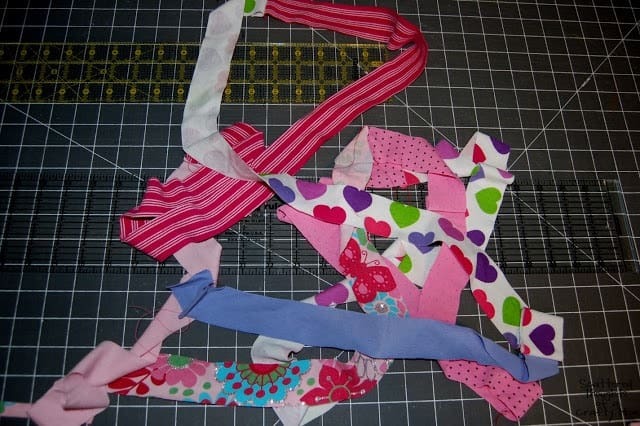 Next, cut 5 1.5 inch wide strips of fabric from the bottom of several t-shirts. You will have big circles. Cut one side of each circle open, so it is a long strip. Sew the strips end to end. 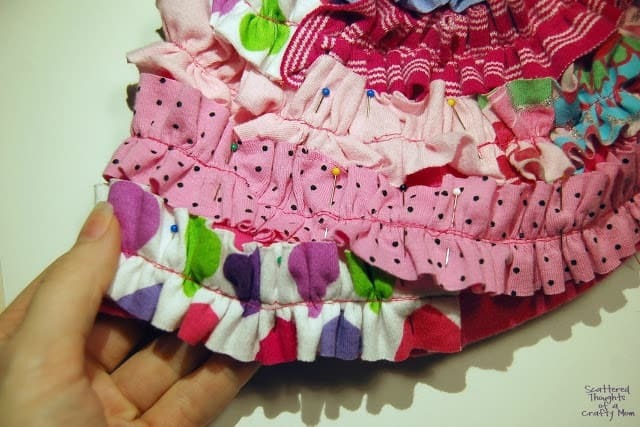 To ruffle the strips, set your sewing machine to the longest stitch length. (Mine is 7.) 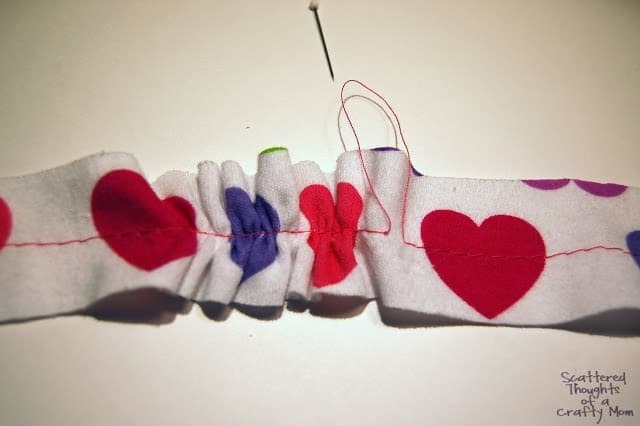 Sew a straight stitch all the way down the middle of your long fabric strip. 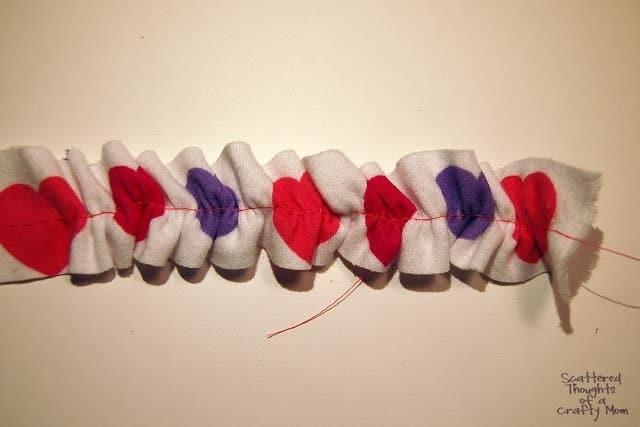 Once you have sewn the straight stich down the middle, hold the strip in one hand and pull on the top thread. Move the fabric down the tread and watch it ruffle up! Starting at one of the bottom side seams, start pinning the ruffle around the hat, use your judgement on how you want your ruffle to look. The length of the fabric strip should be long enough to wrap all the way around the hat to the top. 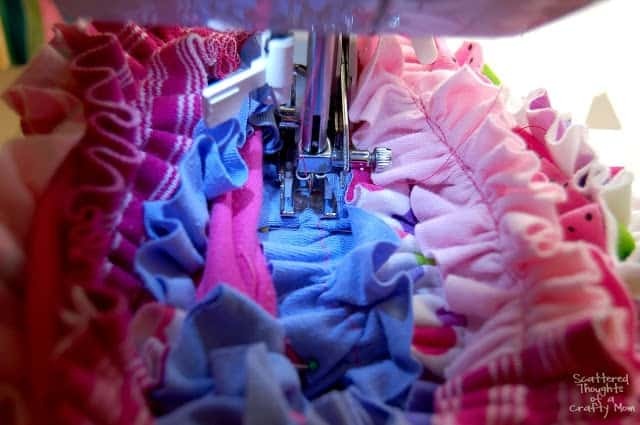 Once you start pinning, you may need to adjust how tightly your strips are ruffled to make the strip fit, it is a bit of trial and error. 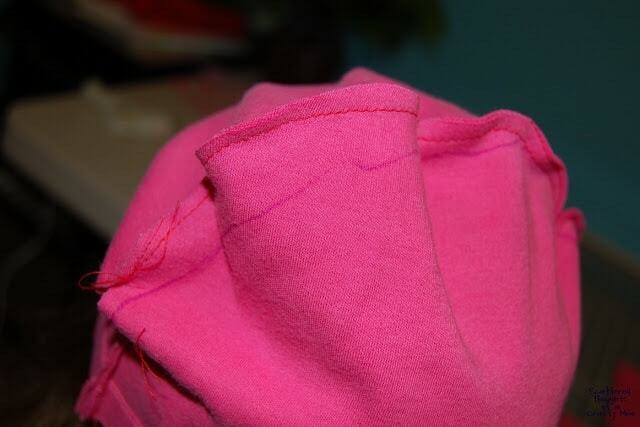 Once the ruffle is pinned on, sew right over the gathering stitch to attach the ruffle to the hat. Trim your strings and you are done! Now at this point you can start adding embellishments. I decided to add 3 different sized fabric flowers for an accent. After I made the flowers, I hot glued them to a bar pin so I could remove them if I ever needed to wash the hat. To learn how to make these flower embellishments, go here: No Sew Fabric Flowers. Sorry, picture overload, I know. I just can’t help myself!!! Like this tutorial? Be sure to pin it for later! Oh my!!! I LOVE IT! LOVE IT LOVE IT!!!!!!!!!! Did I mention that I LOVE IT?? Isn't that sweet and so unique … love the fabrics you used. That's a very pretty model that you have. Thanks for the tute. Oh my gosh!!! LOVE this!! I pinned it a few minutes ago and there are already three people that have repinned it!! Really great job! You are pushing me to get a sewing machine…like NOW!!!!! Oh my goodness…how cute is that beanie! Super job!! This hat is fabulous. She is too cute. What a CUTE hat! I love the fun colors you chose. My goodness this is a fun creation! Maybe I will make myself one! This is adorable! I hope you'll link this up to my new linky party! I'm a new follower! Hope you'll stop by and follow along if you'd like! Your daughter's hair is such a pretty color! My sister-in-law is expecting a little girl in a couple of months, and I think this would make a super cute baby beanie too! I just so happen to have a ton of scrap fabric that would work perfectly 🙂 I'll let you know if I make one. Thank you, I would love to see it! I created a new Flickr group for readers to share their creations. 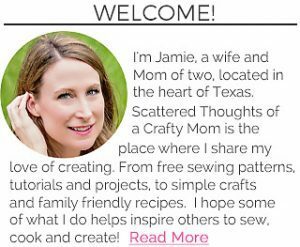 You can find it here: Scattered Thoughts of a Crafty Mom Flickr Group. By the way, your blogger settings are set to "no reply" so I couldn't email you back. If you wanted to change your settings I have an instructional post here. How cute and adorable is that!!! I love the fabric that you have. Thanks so much for sharing this with us at Sharing Saturday. Hope to see you again next week. Thanks of sharing at Feature Friday FREE-FOR-ALL! What a great way to remix and reuse t-shirts. SUPER cute and trendy! I LOVE your pictures and the tutorial looks so easy. Thank you for sharing!! Parabéns! adorei, muito lindo e o pap e super facil e legivel, bjão. Adorable! I am so glad I found this and not just for this wonderful hat. Love the tip about picking up the gathering thread down a ways when it gets stuck. I would love it if you would come link up with Busy Monday (open Monday through Thursdays) at A Pinch of Joy, a linky party for ideas that make life better, easier and more fun! Don't you hate it when that happens? It took me a couple of years of ruffling to figure that one out! I'll be stopping by to link up. (I tried to email you back, but your blogger email setting is set to "no-reply". You can go here to figure out how to change that. looks so sweet in your beanie. I wonder how it would look on an adult? I pinned this on Pinterest. Thank you for joining Creative Bloggers Party and Hop. Oh my goodness! So cute! Thank you for sharing this. What a beautiful hat! I am the mother of 2 beautiful boys, now 20 & 12 & it's doubtful that either one would be interested in this lovely,ruffled creation. 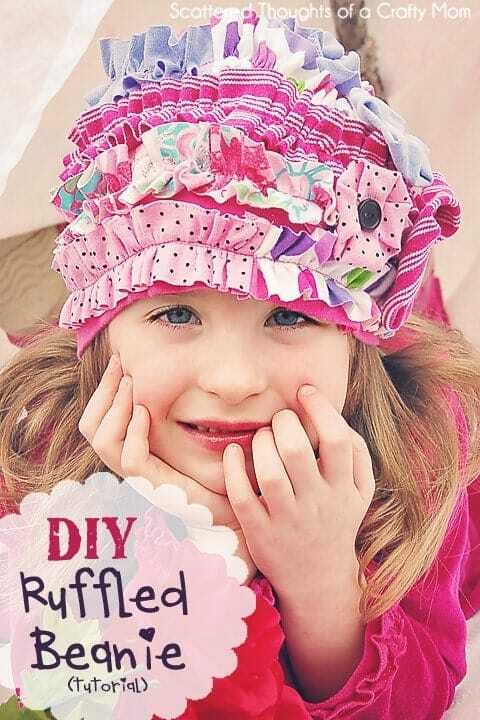 On the other hand,I would LOVE to have a ruffled hat! I own a cupcake company & unfortunately became disabled in 2010,due to a chronic illness. I can still bake, at a much slower pace & have recently began creating purses,belts,headbands & barrettes from unique materials.I received many favorable reviews about my cupcakes & enjoy making people smile with my new creations. Sitting still is not in my DNA & I'm looking forward to creating this darling cap in a much larger size. I doubt that I will do it justice as your beautiful daughter. At least your son managed to smile along! I will happily give you credit when your hat is born. This hat is super duper cute! Following you to stay updated.. I saw your previous ideas, you are very creative.. There is never too many pictures!!! Love them all. Thanks for sharing. So adorable. I am featuring this in next weeks party!!! Wow, this is so cute! Adorable! I want one for me! So darn cute. Your model is adorable too! I adore this!!! Thanks for the inspiration and linking up at Create and Inspire! Featuring this tomorrow at the TOP 10! 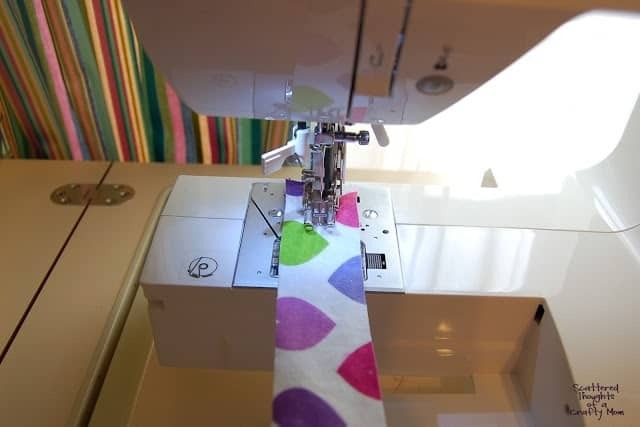 What a fun idea, I love all the bright colors…another darling project! So cute . . and you daughter is an adorable model!!! Thanks for linking to Busy Monday at A Pinch of Joy! Hope to see you again this next week! Adorable hat and cute models as well – thanks so much for sharing at the party! Will you please come back this Thursday to link again? I love your creations! Featuring you today – please come by to see! Thanks for linkming up such awesome projects! Love the hat. so cute. How can I make something like that using cotton sheets. I have so much cotton that I would like to make a hat. I have grandsons. Appreciating the time and effort you put into your site, it’s awesome to come across a blog every once in a while that isn’t the same outdated rehashed information.